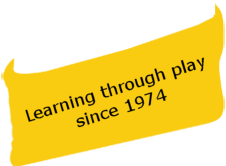 Longford Pre-School Playgroup opened in 1974 and operates from two main rooms and a covered internal courtyard. It is situated in the town of Newport in Telford. A maximum of 26 children may attend the playgroup at any one time. We are a non profit making, voluntary sector group, run by a committee and always need volunteers. We are a member of the Pre-School Learning Alliance and also Telford & Wrekin Early Years Team. We are officially graded by Ofsted as 'Good' in December 2014 and follow the Early Years Curriculum; therefore we are able to accept government funding for nursery places for two, three and four year olds. We provide a safe, secure and stimulating environment with an equal opportunities policy for all children so they will leave pre-school happy and confident. Contact us today to organise a parent a child visit so you can see for yourself.